The International Day of Peace is upon us. On September 21 we can teach our children the importance of peace in our communities. With war raging in Syria and violence consuming the streets of the American cities, it’s vital that we teach our children that we should show love and kindness to everyone. Here's how you can teach your kids to spread love, not hate. If bullies are bothering your child or other kids at school, teach your children how to respond correctly. Join others around the world to plant pinwheels for peace. Your kids will love this project. If you are a religious family, dedicate your prayers on September 21 to peace - praying especially for areas of the world where peace is rare. Use social media to show your support for non-violence. Kids love to take photos of themselves. Use the hashtag #PeaceDay. Or a peace party. Invite your friends and family to party to benefit a charity that promotes peace. You could even donate to help the Syrian refugees. Join your local Zumba class to dance for peace, or talk to your own dance instructor about celebrating peace through dance. Organize a sporting event to promote peace through the One Day One Goal program. Get out that sidewalk chalk and color your town peaceful. The kids will love this! 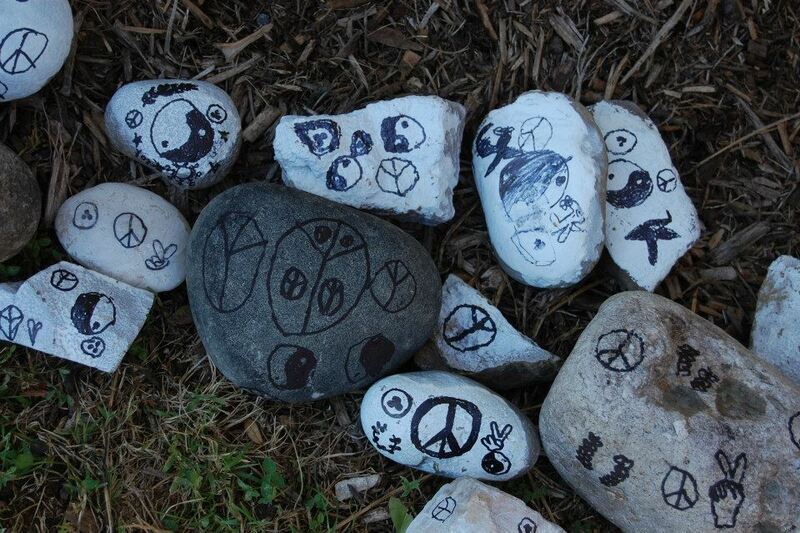 Paint some rocks and line the landscaping and walkways with them to spread peace in your neighborhood. If we want our children to be kind, we need to model kindness. The behaviors of our children are a direct reflection of our behaviors. How we treat them teaches them how they should treat others. Take this opportunity to make a change for the better.